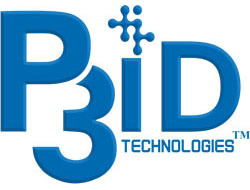 P3iD Technologies, Inc.™ - Welcome - P3iD Technologies, Inc. The highly secure document & data platform for capture, extraction, and storage. Why We Do What We Do: We believe that the most efficient and expeditious way for enterprises and OEMs to offer an extensible and modular capture solution is to utilize our exceptional People, Processes, and Partners (P3). How We Do It: Like the finest Michelin 3-star restaurant, it all starts with the best ingredients. By working with the most innovative technology vendors, we integrate these ingredients into a workflow that is superbly architected to provide impenetrable identity security, image manipulation, data capture and storage to restricted or private clouds. P3iD Technologies ensures the highest level of data security by providing a secure Identity Management system based on concepts of Perfect Forward Secrecy. We provide a full suite of business productivity solutions, including automatic metadata extraction via robotic process automation as well as natural language understanding. P3iD, has the expertise to identify proper use case scenarios, then design and develop innovative blockchain applications. Providing unparalleled user experiences with simple single-sign-on identity management, yet still, provide the highest level of network security for your data-in-motion or data-at-rest. Allow users to work anywhere, anytime and any place from an IoT device of their choice with the peace of mind that data is safe and secure. Security your CIO would be proud of! Enhancing business activities by creating process automation workflows which allow businesses of all sizes to reduce operational costs, create competitive advantages and improve client experiences. P3iD Technologies offers a full suite of automation technology microservices that easily create end-to-end business productivity workflows for documents and data. P3iD Technologies is the innovator and developer that behaves more like a consultant and business partner to work closely with your organization, whether your processes are terrestrial- or cloud-based. Our team gives you access to the experience, skill, and technologies needed to maximize your document, data & business productivity.